Pixar has partnered with Khan Academy to provide free education about the animation process to students. The course is named “Pixar in a Box“. Khan Academy provides free online courseware for students. Unlike Coursera and other so-called “open” education sites, Khan Academy does not charge for any of their courses and does not even use advertising. The website originally started as a series of YouTube videos by founder Salman Khan, who was tutoring his cousin. Most of the courses are geared towards general education of K-12 and college students, with courses like “6th Grade Math” and “Chemistry”. More recently, Khan Academy has started partnering with other companies, universities, and museums to provide more niche education. The “Pixar in a Box” course is designed for middle-school and high-school students, but it is available to everyone. The courses are math-heavy, showing how math is used the animation process. For example, one course explains how trigonometry is used to create the Pixar worlds and another teaches how weighted averages are used to create characters. Pixar’s goal is to show how academics relate to real-world applications that students care about. Rainfall Films, a production company from Los Angeles, has created a new short film set in the Metroid universe. They did a great job of conjuring the sense of isolation, deep space, and exploration that is the hallmark of the Metroid games. Plus they used many of her iconic weapons and suit features, including the morph ball. It makes me nostalgic, remembering playing the original Metroid game on the NES. And, much later, playing through the Metroid Prime trilogy. In fact, this film really captured the feeling of Metroid Prime 3: Corruption, one of my favorite games of all time. You can read more about the creation of the film at CGSociety, where they interviewed the writer/director, Sam Balcomb. There are some new rumors floating around Reddit about a new Justice League animated series from Warner Bros. 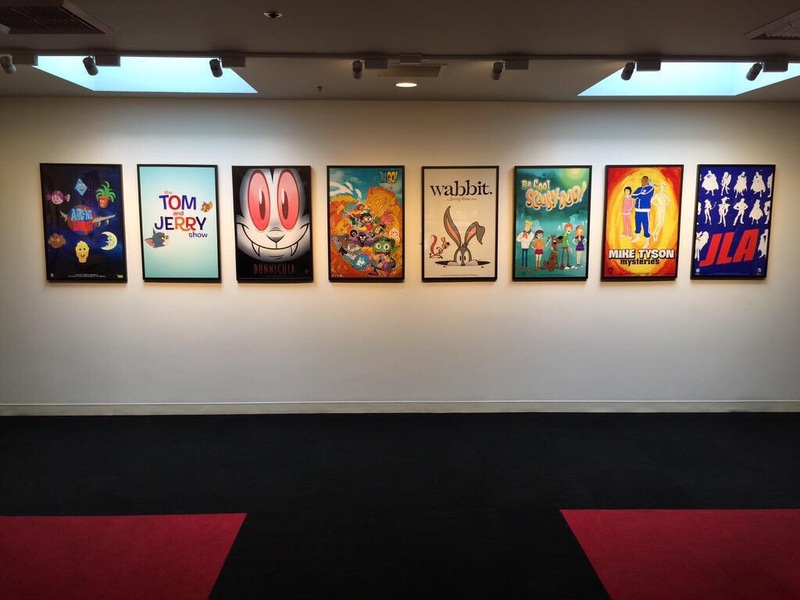 The thread on Reddit shows a picture, allegedly taken inside the Warner Bros Burbank studios, that shows a series of framed posters. All of the posters are of current or announced shows except for the last one, which simply has “JLA” and a series of superhero silhouettes. Not all of the other shows in the poster are from Cartoon Network, so it is possible that any new Justice League series could be on Boomerang or another Warner-owned station. Since Cartoon Network is still keeping quiet about this revelation, everything about the new series is all speculation (including the name and even existence of it). I hope we get to hear more information about a new Justice League series sometime soon! In a related topic, Bruce Timm has been working with DC Animation to create a new Justice League film, titled Justice League: Gods and Monsters. Unfortunately, the film is set in an alternate reality where Superman is the son of Zod instead of Jor-El, Wonder Woman is married to one of Darkseid’s sons, and Batman is not Bruce Wayne, but Kirk Langstrom (aka “Man-Bat” in the comics). There is one more bizarre surprise about Batman in this reality — he is a vampire. DC is releasing a three-episode prequel to the movie, named Justice League: Gods and Monsters Chronicles. You can view the first episode online and see for yourself how dark this alternate DC reality is and the tone of the upcoming movie. I stumbled on some announcements from last year that a new series is being produced in the same world as Kaze: Ghost Warrior, the independent pilot episode created entirely by Timothy Albee using LightWave 3D. The producers are also creating a separate sci-fi series using LightWave, too. However, it looks like they plan on releasing both series as Virtual Reality/Augmented Reality shows (presumably on Oculus Rift headsets). I assume that the episodes will be available in a non VR/AR method, but the press releases are not clear on that point. Dalton Industries, the producers, seem to be betting pretty hard on VR/AR acceptance. They have also announced virtual toy lines for both series that will be sold to users of VR/AR systems. The prices seem steep to me; how many people will pay $20-$50 for virtual toys that can only be seen in a virtual headset? As an aside — the creator of Kaze is now credited as Amadhia Albee, after she publicly changed her name and gender identity in 2009. Whatever name she wants to go by, she has some of the best LightWave animation books, which can quickly get anyone ramped up in any aspect of creating a film using the software. So I hope that the Kaze episodes get released to the general public and I can view them without needing a VR/AR headset. Pixar Animation Studios announced that the next version of RenderMan, their award winning render engine, will be free for non-commercial use. The non-commercial license will provide full functionality without any restrictions, watermarks, or time limits. And the next version is due out sometime soon (fourth quarter of this year, according to their website). The render engine works with Maya, but currently does not work with LightWave. Some third-party developers are creating plugins for LightWave that will add RenderMan integration. I expect that once the RenderMan non-commercial licenses are available, there will be more developers working to make this happen (the non-commercial license allows for developing commercial tools and plugins). Hopefully this type of open access for educational and personal use becomes more common, which I believe is good both for aspiring artists and the companies selling high-end software packages. I am going to sign up for advance registration of the license, even if it might be a while before I get a chance to use it. Postscript: Here is a good good article on the new features and architecture of RenderMan (including the new RIS framework). I caught a cold late last week, so I spent the weekend sleeping and catching up on television. I finally got around to watching the last few weeks of Rick and Morty, Dan Harmon’s new animated show on Adult Swim. If you have not seen the show, it is a good comedy animated series featuring sci-fi adventures and some dark, witty humor. If you do not know who Dan Harmon is: he created and provided the main creative direction for the NBC show Community. If you have not watched Community, you are missing out on a great comedy series. Now that 30 Rock is finished, it is the only network show I watch. 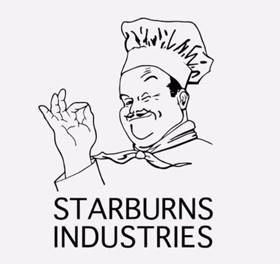 Anyway, I noticed that the end of Rick and Morty has a closing tag for “Starburns Industries”. For those of you that do not watch Community (shame on you for not immediately rushing off to watch a season or two! ), “Starburns” is a side character in the show, so that name in another Dan Harmon creation immediately grabbed my attention. And that is how I found out about Starburns Industries, an animation studio created by Dan Harmon. Check out their reel, available on the front page of their site. Their About page is interesting, too, especially the bios for co-founders Joseph Russo II (he was an animator on The Simpsons) and Dino Stamatopoulos (from the Chicago area and has some solid comedy writing credits). They primarily work in 2D animation and stop-motion, and I was surprised that I recognized a fair amount of their work (even though I have not watched much of it — I didn’t see Frankenhole or Beforel Orel, for instance).